Venetia Lanyon, beautiful, intelligent and independent, lives in comfortable seclusion in rural Yorkshire with her precocious brother Aubrey. Her future seems safe and predictable: Either marriage to the respectable but dull Edward Yardley, or a life of peaceful spinsterhood. But when she meets the dashing, dangerous rake Lord Damerel, her well-ordered life is turned upside down, and she embarks upon a relationship with him that scandalizes and horrifies the whole community. Sian Phillips is a delight! 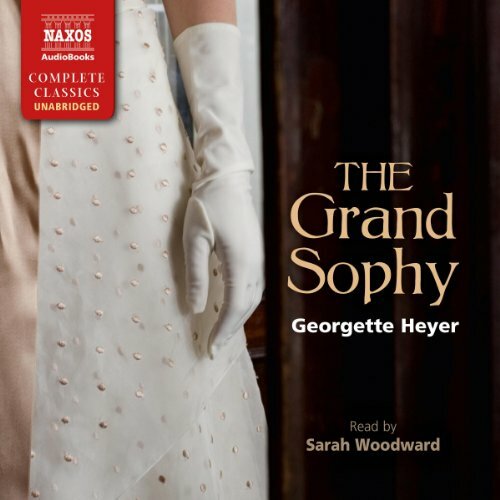 If Georgette Heyer's many fans were to vote for their favorite Heyer heroine/novel, I predict "The Grand Sophy" would win. 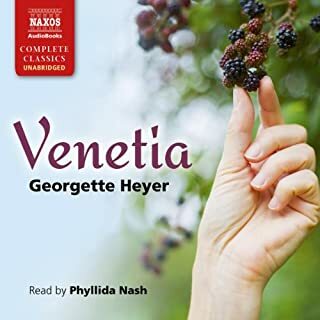 Naxos did a nice job on the abridgment that has been on Audible for two years (and which I quickly ponied up a credit for), but it was … abridged. Now we get the entire book, and it is good. I enjoyed Clare Wille's narration of the abridgment -- she also reads the unabridged versions of "Cotillion" and "A Civil Contract," both well worth listening to -- but Sarah Woodward's rendition is equally good, and now all my favorite scenes are here, not on the cutting room floor. Sophia Stanton-Lacy is the daughter of a British diplomat who has spent her teenage years traveling the Continent with her widower father as the Napoleonic wars wound down. Now Sir Horace is off to Brazil and leaves the 21-year-old Sophy in London with his sister and her numerous offspring. The household's eldest son is strait-laced Charles, who has recently (1) inherited a large fortune from a distant relative and (2) become engaged to the Honourable and egregiously proper Eugenia Wraxton. Sophy is sparkling, spontaneous, self-sufficient, and as Charles disapprovingly observes, “on easy terms with every rattle who ever wore a red coat." Not hard to see where the romance will go, especially keeping in mind that first-cousin alliances were common among the “quality” right up through the early twentieth century. Besides the protagonists -- and Sophy and Charles are among Heyer's most delightful and memorable -- several other characters also have romances underway or underfoot, and the machinations are tangled, funny, and occasionally bittersweet. Sophy's interactions with her large brood of cousins add marvelous depth to this classic novel. All will be well that ends well, so set aside the dreary dystopians and the vapid vampires and enjoy a romp through the Regency. All the familiar elements of a good Heyer Regency are here - the star-crossed lovers, the stern but good-natured Charles, the humourless Eugenia, the ineffectual Lady Ombersly, and, of course, the Grand Sophy, a resourceful young women brought up by her father, Sir Horace, in the midst of the Napoleonic Wars. The final climax of the story is perfect Heyer. Funny, convoluted, and perfectly in keeping with the characters. The reader is Sarah Woodward and she does an excellent job. Highly recommended. I loved this book. The narration was excellent, and the development of the attraction between the two protagonists worked perfectly for me. 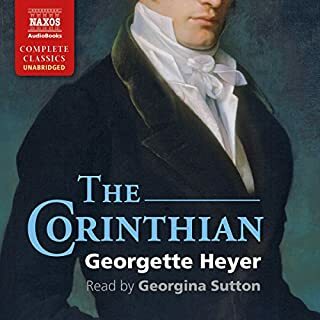 It ranks as one of my top three favorite Heyer books. Love love love this book, the dialog is fabulous. How can you not love 'the grand Sophy'. I don't remember a book when I've laughed out loud so much. Sophy is everything I would want to have been, if I had been born in that era. She takes the town by storm. Her schemes are so funny I could just see her mind working. The narration was great also. I am hooked on these older books by Heyer and will be looking for more. Would you listen to The Grand Sophy again? Why? Indeed I would and have done so. I enjoyed it so much the first time that I looked forward to meeting these characters again. Sophia is such a tremendous character. She leaps from the pages with her intelligence, humor, compassion and generous heart. Which character – as performed by Sarah Woodward – was your favorite? Woodward was simply marvelous. I have listened to a great many narrated books and her performance is very high on the list. I believe she captured Sophia's and Charles' personalities to perfection. Oh, this is a very funny book. The dialogue is great bringing on smiles and laughter. I bought the book on sale, based on Heyer's reputation and reader reviews. Loved it. a charming romp. One of my favorites from one of my all time favorite authors. Thank you Audible for getting it unabridged. Some of Georgette Heyer's books are better than others, but they are all good and worth reading over and over. Finding them on Audible and revisiting them yet again with someone else' voice has been so fun! If you haven't read her books before, do yourself a favor. Yes, because I enjoy the story, characters, and dialogue. Did Sarah Woodward do a good job differentiating all the characters? How? I thought she did better toward the end, but in general I found her timing rather strange and the characters almost indistinguishable. You can't argue with "The Grand Sophy". Here is one of Georgette Heyer's most memorable heroines, full of courage, charisma and feeling. The "minor" characters are so essential in these books, which (it must be admitted) have pretty thin plots. No fear, Sophy and those around her make for rich entertainment. Not a lot of hot romance, but mayhem and comedy aplenty. I love the way Sarah Woodward voices these eccentric characters, male and female. She is an excellent narrator - so very important in the enjoyment of Heyer's books. This book was written in 1950, at the height of the author's powers. How I wish that she had refrained from the cringe-worthy stereotypes which make a (thankfully short) episode in "Sophy" uncomfortable to listen to. I know she is writing about Regency England, where such perceptions were commonplace, but, by 1950, she should have known better than to have dwelt on them. Aside from that, "The Grand Sophy" remains one of the best of Georgette Heyer, and therefore very entertaiing indeed! In the mood for light, well written diversion, and with a great narrator like Woodward, the listener can't go wrong with Sophy! Would you consider the audio edition of The Grand Sophy to be better than the print version? Until I listened to it, I would have thought that pretty unlikely, but now I'm a convert. The narrator is superb and it is helpful to hear the pronounciations of some of the words in an English accent. Well, Sophy is one of Heyer's great characters. As a teen, I didn't appreciate Charles, but encountering TGS anew, he's one of my favorites as well. In the best Heyer's, the minor characters are funny and recognizable types, and this novel is no exception. What about Sarah Woodward’s performance did you like? She has a pleasing voice and characterized the different players well. It moved at a good pace, and the humor was very present. A bit long for that, and I like to savor a good Heyer. That said, I felt no desire to turn it off, other than it was past my bedtime. Very much recommended. These a great books for teen girls, and I'd recommend them over a lot of the YA titles out there now. I'm not sure a review is helpful here. It's a classic Georgette Heyer. Is there is a marvellous, meddling heroine determined to sort everyone out? Is she a dashing rider of other people's horses/driver of their high perch phaetons? Is there a handsome man who is exasperated by our heroine's shenanigans? Is he highly respected at Jackson's? Are there various unpleasant, meddling females undermining her? A chorus of naughty but delightful young persons who kick up no end of larks and complicate matters? Does Lady Jersey make an appearance and issue tickets to Almacks? The answer to all these and more is yes, of course. If you are suffering from a fit of the blue devils, this is just the tonic. That or a fetching new pelisse. Back in the dark ages when I was 12 or 13, I discovered and devoured Georgette Heyer's Regency novels. My half century old paperbacks are more than well worn and now I'm working through my favourites in audiobooks, rapidly finding some narrators are better than others. Sarah Woodward is one of the good ones. Miss Wraxton, Augustus Fawnhope and Lord Bromford are the comedy foils to Sophie, and it might be tempting to ham them up. Sarah doesn't. She absolutely nails them, and I'd certainly buy any others she reads. 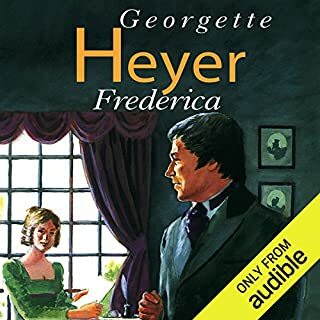 This is one of my favourite books by Georgette Heyer, and I was wary of a narrator new to me. But she did an excellent job - her Sophy was just right, as was her Miss Wraxton. I think there has been a slight editing of the money-lender scene which causes problems for many readers, although I haven't checked it word for word. Just a few words omitted or changed, from memory. I have been waiting such a long time for this to be made into an Audible book but the narrator does a very poor job - does not understand the humour, or conjure the characters. They should have gone to Phyllida Nash who is a beautiful reader. One of my favourite Heyer stories! A heroine to enjoy. No mamby pambly miss. No simpering or uncertainties or naive floundering. I've had a paperback copy for years, and it's one of my go-to books when I need something undemanding and entertaining. There are no surprises for those familiar with Georgette Heyer's Regency novels, but the scenario and dialogue here are better than many. Sarah Woodward makes a reasonable fist of this, quite a long book. Occasionally she loses fluency (it's a lot of reading aloud, and there's much oral punctuation in the language) and sometimes the stress is misplaced; but overall a very good listen. I chuckled a great deal, and smiled often. Heyer is a blunter instrument than Austen, partly as a result of writing historically and also due to the largely urban settings of her books. It's the same broad type of humour though, and a good cone-uppance is ALWAYS deeply satisfying! I've owned this title in my library for several years, but am just now getting around to writing a review. 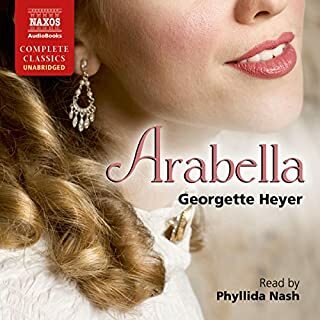 I've listened to a number of Georgette Heyer books on Audible, and have to say that this is probably my favorite one. This is down to not only the main character (who is one of the few who is self-confident and gives little thought of what others think of her), but largely to the skills of the narrator, Sarah Woodward. I've seen a few negative comments fro some reviewers, but I disagree! This performer demonstrates a range of accents and timbres of voice. Her voice is naturally a bit lower, so she can do male voices with more credibility than many other female narrators I've listened to. Her narration is far superior to that in many of the audiobooks that I currently own (nearly 200 titles). If there is anything at all to reproach, it is the story line. The first time I heard the story, I was very surprised at the ending, since a relationship between the two main protagonists did not seem to have enough build-up to merit their affirmations in the final minutes. Sophy seemed to be at the most neutral in her admitted feelings for the man throughout the whole story. I think that typical Heyer fans might be disappointed with this book for that reason -- there is not the slightest bit of stereotypical "love in the air". That being said, there is a great deal of subtle humor in the book, and I've listened to this title probably at least 30 times because of it! What's more, Sarah Woodward pulls off just the right amount of sarcasm and dryness to highlight this aspect. I especially like what she does with the voices of Lord Bromford (cluelessly pompous), Sir Horace (insouciant), Miss Wraxton (bitchily arrogant), and Augustus Fawnhope (flighty and poetically inept). I hope more authors will capitalize on Sarah Woodward's narrative gifts, especially for fiction. Quite often I buy books just because of the brilliant narrator (such as Shiromi Arserio, Richard Armitage, Bronson Pinchot, Neil Gaiman, Cassandra Campbell, Gemma Dawson, Derek Perkins, Amanda Ronconi, Marian Hussey, and Neil Dudgeon), and discover lots of titles I might not otherwise have considered. Thoroughly enjoyed this on my daily commute. Characterisation was great & Sarah Woodward did a great performance. not one moment dull - from the first to the last chapter a joy!!! One of my favourite Georgette Heyer's novels. Full of fun snd mischief with an ending that ties everything up. A fabulous witty tale. Loved the humour! The narrator was perfect. My favourite Georgette Heyer book! What a great female main character! A delightful story with an adventurous heroine and Heyer's signature humour read in just the right way. I was sad when the book ended! I had never read a Georgette Heyer romance before, although I have enjoyed her witty 1930s-era mysteries. I thoroughly enjoyed this too, although the romance is very subtle. Sophy is a competent, forceful, quick-thinking and warm-hearted young lady who turns the Rivenhall household on its head and brings happiness to its members in various (often ingenious) ways. 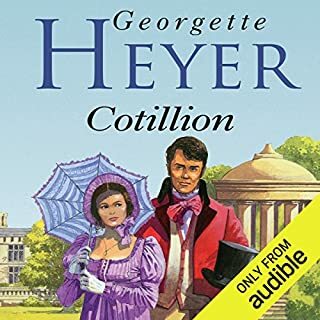 Heyer's command of language shines through in this audio version; I marvelled at the breadth and precision of her vocabulary combined with the amusing Regency slang sprinkled throughout. Sarah Woodward's narration for the most part added to my appreciation. There were a few phrasing errors but the characters were well-differentiated and the dialogue was natural and lively. The villainess of the story, if there is one, Miss Eugenia Wraxton, is particularly well characterised as an impossibly stuffy and complacent woman who stands in complete contrast to Sophy's good nature and innate integrity. Heyer is a master of skewering her character's faults through their own words, which is the source of much comedy. 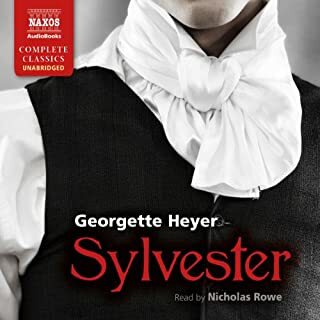 I was charmed and highly entertained by The Grand Sophy and will certainly try other Heyer audiobooks. One of her best in my opinion. This romance, narrated so beautifully by Sarah Woodward, in mine never so humble opinion is right up there with Fredrika, Beauvallet and These old Shades and of course others too numerous to mention. I have already heard this more than once, for the subtle nuanced reading which complemented the witty, stylish writing. I liked the clever twists and turns of the plot, and the very appealing force of nature that was the heroine. The resolution was clever and satisfying. What does Sarah Woodward bring to the story that you wouldn’t experience if you had only read the book? The narrator's voice was well-suited to the different characters and accents throughout the story. I was frequently moved to laughter! A very fine example of Heyer's style. A light-hearted farce, written with elegance and sophistication. Sophy is larger than life in all ways. While it may be thought to help the presentation, readers vocalising for the different characters in the story really detract because of the honestly bad characterisations. One person cannot properly depict each person, male and female, in an acceptable way. Ian Hickson reads Agatha Christie's stories as they are written, and the are far more believable as it leaves the listener to use his/her own imagination. Bit late now for those books already produced but future books should be read as written.